Thai Union Group PCL (Thai Union) reported a 1.9 percent year-on-year decline in 2018 third quartersales to THB 34,174 million, mainly due to the impact of Thai baht appreciation and declining raw material prices. The net profit reported to the Stock Exchange of Thailand was THB 1,310 million. However, the 3Q18 normalized net profits from operations is adjusted for impairments of Edinburgh Salmon Company (ESCo) amounted THB 420 million, bringing the adjusted net profit to THB 1.7 billion. The net profit margin improved to 5.1 percent from 4.0 percent in the second quarter. Gross profit improved significantly from prior quarter to THB 5,378 million, while the gross profit margin was 15.7 percent compared to 14 percent in 2Q18, marking the best gross profit performance since 2016. Inventories of higher-priced raw materials, particularly in the shrimp business, along with Thai baht appreciation, contributed to ongoing market volatility. Thai Union’s ambient seafood sales in 3Q18 were THB 16,806 million, up 0.4 percent year-on-year. Sales contribution from the frozen and chilled seafood business fell 8.1 percent year-on-year to THB 13,037 million, and PetCare and value-added product sales fell 5.4 percent to THB 4,331 million over the same period last year due partly to Thai Baht appreciation against the US dollar at 1.2 percent year-on-year. In the first three quarters of 2018, North America contributed 39 percent of total sales, followed by Europe at 31 percent, the Thai domestic market at 10 percent, and other markets at 20 percent. Tougher market competition in North America, together with US dollar depreciation, saw the sales of frozen and chilled seafood, particularly shrimp and lobster, decline in value while volume of the frozen and chilled business also declined by 3.5 percent in this key region. However, China and the Middle East continued to grow, with sales contributions improving due to the launch of new products and strong marketing and sales efforts. The operating profit is THB 1,834 million, up 33.1 percent year-on-year. The stringent cost control prompted one percent selling, general and administration (SG&A) expense decline year-on-year. However, the SG&A to sales ratio increased to slightly to 10.4 percent in 3Q18, compared to 10.3 percent in the same period last year due to revenue weakness. Strong working capital management and the improved operational EBITDA of THB 3,221 million in 3Q18. Thai Union reduced net debt to equity ratio to 1.40 times in third quarter compared to 1.41 times at the end of the second quarter. “We increased our gross profit margin and net profit was the best since 2015, resulting from solid operation support, significant operational improvement and stable raw material prices,” said Thiraphong Chansiri, Thai Union CEO. “Thai Union will continue to expand its business portfolio through business diversification while continuing aggressive development of product innovation,” Chansiri added. Thai Union has recently introduced Thammachart Seafood’s premium seafood store, The Lobster Lab, at Alibaba’s retail chain Hema in Shanghai, China. This take-out and sit-down restaurant concept serving live lobsters from North America is meeting the growing Chinese consumer’s demand for tasty and nutritious seafood. In Europe, Thai Union’s Marine Ingredients business unit has recently commissioned a state-of-the-art fish oil refinery plant in Rostock, Germany to produce the high-value refined tuna oil which is high in DHA, one of the key components in infant formula, dietary supplements and clinical nutrition. Completing the “Dock to Door” tuna oil supply chain is Thai Union’s first step in valorizing the whole fish to its full potential. Thai Union continued to implement actions and activities in line with its SeaChange® sustainability strategy in 3Q18 and is proud to be rated number one in the world in the food products industry in the latest 2018 Dow Jones Sustainability Index (DJSI). SeaChange® successfully drove the score with an industry best-in-class 100th percentile ranking for total sustainability score. It was the fifth consecutive year Thai Union was named to the DJSI. Meanwhile it was also announced the company will remain a constituent to the FTSE4Good Emerging Index by FTSE Russell which helps investors integrate environmental, social and governance factors into their investment decisions and as a framework for corporate engagement and stewardship. Thai Union continues to be included in two of the world’s most followed sustainability indices. At the fifth Our Ocean Conference held last month in Bali, Indonesia, Thai Union Group’s, Chicken of the Sea® brand and Monterey Bay Aquarium announced the launch of SeaChange® IGNITE, a collaboration to advance new sustainability initiatives and improvements throughout the supply chain and further contribute to SeaChange®. The combined commitment for the initiative is USD $73 million through 2025, with a focus on improvements in Southeast Asia and other key seafood producing regions. In recognition of Thai Union’s efforts to address modern slavery and forced labor, the company was honored to be invited to participate in a high-level panel at the United Nations (UN) General Assembly in September to present its actions and experiences in front of the world’s leadership in New York City. The audience was comprised of approximately 300 UN member states, as well as representatives from civil society, the private sector, investors and media. Thai Union also recently participated in the second annual Bali Process Government and Business Forum held in line with the Bali Process on People Smuggling, Trafficking in Persons and Related Transnational Crime, co-chaired by Indonesia and Australia in Bali. Additionally, Thai Union stated its support for the Bali Process Acknowledge, Act and Advance (AAA) Recommendations, set as a pathway for action to achieve Target 8.7 of the UN Sustainable Development Goals (SDGs) and eliminate transnational crimes currently afflicting people throughout the Indo-Pacific region. 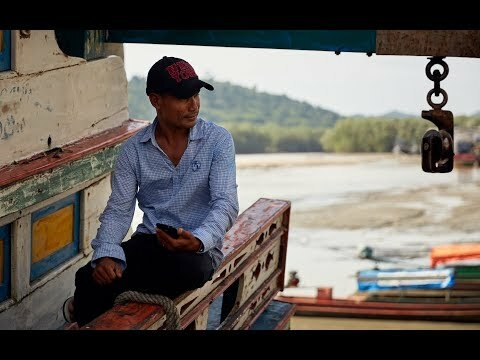 The company launched a short film (click here to watch) to document how Thai Union, along with support from a coalition of partners and governments, introduced digital traceability and utilized e-logbooks in supply chains to promote greater sustainability in the fishing industry. The video is the final in a three-part series which chronicles an innovative digital traceability pilot project implemented in Thailand where fishing vessels were outfitted with ’Fleet One’ terminals. Crew members, captains and fleet owners were also trained on chat applications which enable them to connect with families and peers while at sea—an industry first for Thai fisheries—to help boost human rights. To coincide with World Food Day, the company also released a series of short video interviews (click here to watch) featuring participants involved in a World Food Programme (WFP) study supported by Thai Union to model the impact of a planned universal national school meals program on the economy in Kenya. Preliminary results will be announced next year and should provide valuable insights to the Kenyan government about its plan for a universal lunch program that feeds all schoolchildren in Kenya. This project could show an ability to dramatically improve the nutrition of schoolchildren while boosting local economies with one single policy, while demonstrable success will pave the way for similar initiatives on a global level in both developed and developing nations. Thai Union has received a variety of recognitions and awards in 3Q18 for sustainability. The Thomson Reuters Foundation, the philanthropic arm of the world’s largest news and information provider, nominated Thai Union as one of six companies shortlisted for its prestigious annual Stop Slavery Award. Nominees also include Apple and Unilever, among others, representing a range of industries from seafood and fashion to financial services and technology. Thai Union was honored at Ethical Corporation’s 8th Annual Responsible Business Awards for sustainability leadership, receiving the coveted Business Leader of the Year Award, and shortlisted in three other key categories, including: Sustainability Report of the Year; Human Rights; and Supply Chain Management in partnership with WWF-UK. Further, Thai Union and WWF-UK received gold in the “Best Sustainable Supply Chain” category at the Global Good Awards UK 2018—a testament to the pivotal work the two organizations have achieved through its European partnership. 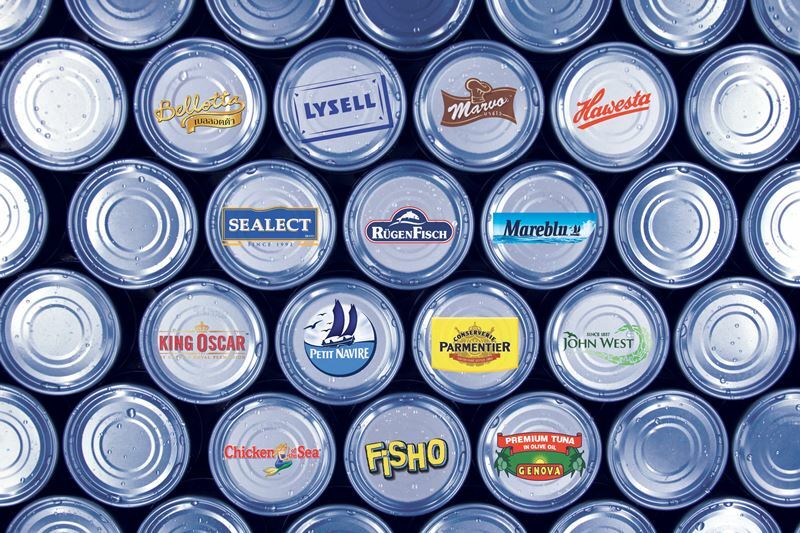 This was followed by Thai Union’s John West brand being named winner of the Marine Stewardship Council’s (MSC) 2018 UK Canned Brand of the Year Award for the second consecutive year. And the Business Intelligence Group, which at the end of July announced winners for its 2018 Sustainability Awards to honor those who have made sustainability an integral part of business practice, included Thai Union in two categories, including Sustainability Leadership of the Year as well as the company’s digital traceability pilot project for Sustainability Initiative of the Year. Editor Note: In September 2018, MerAlliance, a Thai Union subsidiary, announced its intention to sell or close the Edinburgh Salmon Company (ESCo), located in Dingwall, Scotland, after sustaining continuing losses averaging USD 5 million annually.